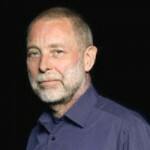 Dave Holland was born in Wolverhampton, Staffordshire, England. He is an English jazz double bassist, composer and bandleader who has been performing and recording for five decades. He runs his own independent record label, Dare2, which he launched in 2005. He has played with some of the greatest names in jazz, and has participated in several classic recording sessions. He also recorded Life Cycle, an album of compositions played on solo cello. He was also part of the sessions for River: The Joni Letters, winner of the 2008 Grammy Award for Album of the Year.